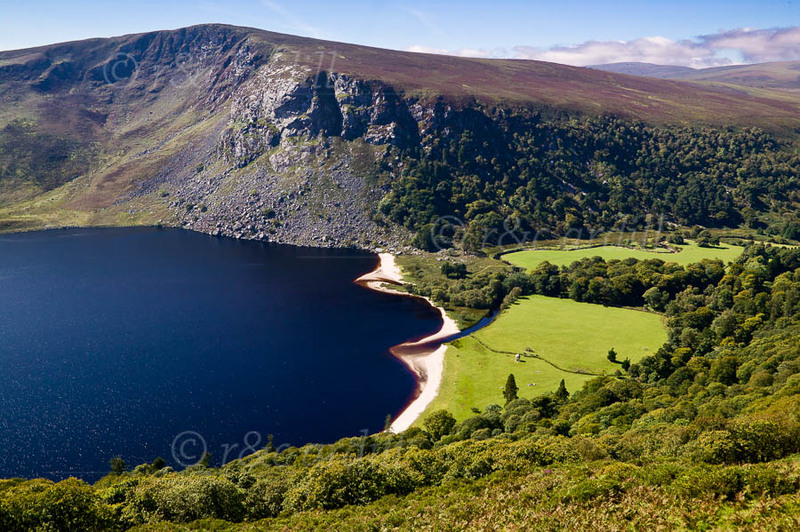 Photo of: East Coast of Ireland: Wicklow: Lough Tay. Lough Tay in the Dublin / Wicklow mountains is one of the lovely lakes that grace these boggy highlands. On the far side of the lake is Luggala peak.